Bill Justice established Justice Real Estate in 1980 specializing in farm sales. Through Bill's expertise, integrity, and hard work Justice Real Estate is and has been the leader in farm sales in the Bluegrass since the mid-1980's. Long recognized as the most knowledgeable and respected farm broker in Central Kentucky, Bill has handled the sale of some of the most significant farms in this area - Spendthrift, Dixiana, Greentree, Buckland, and Parrish Hill - to name only a very few. Bill served the Lexington-Bluegrass Association of Realtors as President in 1984, and he was its Realtor of the Year in 1982. He and his wife Tina live in a historic home on Tates Creek Road. Bill is actively involved in the thoroughbred business - raising, breeding, and racing them. He partners with a lot of his clients in horses and is fortunate enough to own the dam of Champion and Grade I winner, Negligee. Bill attends most horse sales cultivating clients and bought a home in Saratoga Springs for just that reason. His knowledge of farms and the thoroughbred industry has certainly attributed to his success in farm brokerage. 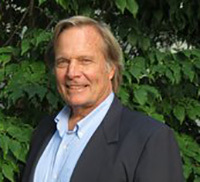 Bill has been in real estate since 1987 with an emphasis on farm properties. Having grown up on a cattle and crop farm, Bill started showing Western and English pleasure - moving to hunt seat and dressage. She has competed in three day events as well as played polo, fox hunted, broken yearlings, galloped thoroughbreds, and worked with both thoroughbred and standardbred broodmares. 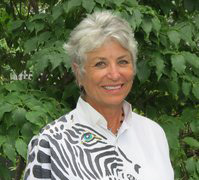 Bill attended the University of Kentucky as an art major, but her love of the horse and the great outdoors led her in the direction of the horse industry and her husband Mike. Mike, a thoroughbred horse trainer, came up under the tutelage of Frank Whiteley during the time of Ruffian’s racing career. Bill's experience and continued personal involvement in the different facets of the horse industry give her a common interest with the people she meets and an understanding of their specific needs in assisting them in locating or selling a farm property. Since obtaining her license and joining Justice Real Estate's team of horse farm professionals in January 2003, Alicia has been involved in real estate transactions totaling nearly $40 million and represented Sellers and Buyers on such farms as Glencrest Farm, Newgate Farm, Parrish Hill Farm, Lobo Farm, Locust Grove Farm, Walmac Farm, La Ciaga, and many others. She has her BA in Integrated Strategic Communications from the University of Kentucky and has extensive experience in Development and Marketing. Alicia has also been an active participant in the thoroughbred industry for more than 25 years. Her combination of experience in marketing, agriculture and the equine industry assist Alicia in better serving clients in the sale or purchase of a farm or land. Marilyn has been in real estate since 1988 and joined JUSTICE REAL ESTATE in 1996. Marilyn graduated from Northwestern University in Louisiana with a double major in Health & Physical Education and Special Education. She grew up on crop and cattle farms where riding horses was a part of farm life. However, showing horses and barrel racing were a major focus. Having a working knowledge of horses and farming has been a valuable asset in selling farms. Marilyn's husband is active in the thoroughbred business, which is also a great resource for Marilyn who enjoys helping people find their special place in the Beautiful Bluegrass Country. She looks forward to meeting new people and treasures her clients who have put their trust in her. We at JUSTICE REAL ESTATE have a motto - treat people the way you want to be treated. Mary Sue has lived in Lexington since 1995. A native Ohioan, she graduated from Christ Hospital of Nursing and lived in Cincinnati for 30 years working as a Registered Nurse and Realtor. After three years in Aspen, Colorado, as a Realtor and broker of Aspen Premier Properties, she came "home" to Lexington. Whether a townhome, small farm, or a large property, such as Dixiana, True North, Lobo, or Chaumette, it's the people Mary Sue meets that make it such a rewarding experience. Mary Sue enjoys the excitement of welcoming people to the Bluegrass and finding the property that make them feel THEY have "come home". 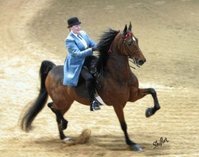 Mary Sue has raised and shown American Saddlebred horses for many years and was thrilled when one of her babies won the World Championship in 2008. She and her "Showboats Boogie Man", pictured here, won the Kentucky State Championship in 2007. 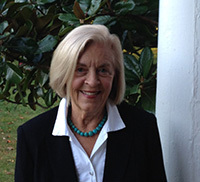 Mary Sue has served on the board of the Lexington Philharmonic with a special interest in the fund raiser "Horsetails", which was an integral part of the World Equestrian Games featuring horses from each of the eight disciplines. Mary Sue's three children, five grandchildren, one great-grandchild, and traveling to Colorado and Montana are the ways she spends her "free time". Sharon grew up on a farm south of Lexington with horses, cattle, and crops. Her early love of horses led her to become a member of the Keeneland Pony Club where she gained insight, appreciation, and love of the beautiful rolling land in Fayette and surrounding counties and the owners. She eventually broke and galloped thoroughbreds for Doug Davis at Keeneland and Ted Carr at Poplar Hill. Sharon attended UK, married, and, in 1973, moved to a farm in Woodford County where she raised three daughters. She earned a real estate license in 1987 and joined Justice Real Estate in 1990 where she has found that her years of gathering knowledge of land, farming, and people have been invaluable in assisting buyers and sellers. Sharon resides today in southern Woodford County with her husband Jim, an attorney, in a historic home "Airy Mount" with adjoining Mint Springs Farm, a cattle, crop, and thoroughbred mare/foal operation. When she has some free time, she is off to Ireland to join her two grandchildren or just down the road to spend time with her third grandchild. Sharon would encourage you to heed one of her favorite quotes: "Buy land, they aren't making it anymore." Allen arrived in the Bluegrass State in 1971 to attend the University of Kentucky. After graduation, his early interests of agriculture and architecture resulted in the development of one of the most magnificent farms in Central Kentucky - Gainesborough Farm. Allen's professional horse career began as a groom at Clovelly Farm with the ultimate mentor of farm managers - Lars LaCour. Allen then moved to Shadowlawn Farm as the assistant manager who oversaw the care of over 180 broodmares. He was hired by Gainsborough Farm to manage the horses and aid in the design and development of a one-of-a-kind horse farm. Under Allen's watch Champions Lamttara, Hatoof, and Fantastic Light (just to name a few) were produced at Gainesborough. Well-known and respected by the equine community, Allen brings a fresh perspective and discerning eye to the clients he represents for Justice Real Estate. A hands-on horseman, Allen has lived in Woodford County for 30 years and was president of the Kentucky Thoroughbred Farm Managers Club. Allen was also honored by being selected as Farm Manager of the Year in 1997. Allen and his wife Alexandra breed and race horses, so he is well-acquainted with the complex nature of this business that lies beyond the gates of the beautiful farms of Central Kentucky. Muffy has held a Kentucky real estate license for 33 years and has recently earned her Broker status. 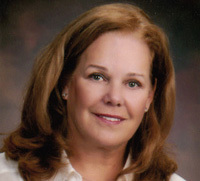 She specializes in farm and executive real estate but also assists first-time home buyers. 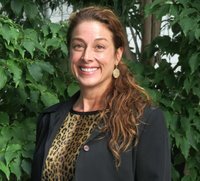 As a graduate of the University of Kentucky with a Master of Science in Nursing, she has spent much time as a counselor. Muffy and her husband Wayne, a former chairman of the Kentucky Racing Commission, have developed Ashview Farm, a thoroughbred and sales operation in Versailles, Kentucky, that totals 1,000 Woodford County acres. As a part-time resident of Jackson Hole, Wyoming, she is knowledgeable in ranch land of the West. Mike, a 1992 graduate of the University of Louisville School of Business, became a licensed Realtor in 1995 in the Cincinnati market, moved to Lexington in 2002, and is considered to be one of the top-producing farm agents in this market. He has represented clients such as Green Lantern Farm, Katierich Farm, Town and Country Farms, St. George Farm, along with many others. Mike became a licensed thoroughbred trainer in 1994 and does year-round racing in Kentucky, Indiana, Ohio, West Virginia, and Illinois from a small stable based at Keeneland. Mike lives in Georgetown with sons Spencer and Zachary who attend St. John School in Georgetown. Mike and his family are very involved in coaching and playing baseball and soccer. Amber Siegelman was born and raised in Versailles, Kentucky, home to some of the finest horse farms in the country. She joined Justice Real Estate, Kentucky's premier horse farm broker for the past four decades, as a Realtor in the summer of 2018. Amber's love for horses began at a young age, when as a working student rider at River Mountain Farm in Woodford County, she absorbed the ins and outs of how to manage a farm and care for sport horses. In 2006, Amber won the United States Equestrian Federation (USEF) Pony Finals. In that same year, she also received the prestigious "Sportsmanship of the Year" award by the USEF Hunter Jumper Association and the USEF "Leadership Award". In recent years, Amber worked at Hagyard Equine Medical Institute where she engaged in a variety of disciplines including reproduction, sport horse, and surgery. Amber then went to work for Fraley Equine Podiatry in client relations and office management. This experience gave her the exposure and knowledge necessary to understand the specific preferences of each of her real estate clients so that she can find a farm that fits both their needs and budget. Amber lives in Lexington and takes pride in this special community. When she is not working, she enjoys spending time with her friends and family, riding, and showing horses. Let Amber put her strong work ethic, keen knowledge of the horse industry, and customer service skills to work for you to find the farm that best fits your unique lifestyle and business needs.